This was a great find. I just happened upon it and thought I'd give it a try. I'm so glad I did. This has so many interesting characters and the story line is very interesting and different. There are vamps, weres, witches, wizards, angels, demons and humans. It flowed beautifully and was easy to keep up. So often when a series is new the first installment tries to fit to much in to the story. Not the case here. I really enjoyed the primary and secondary characters. It was so easy to feel everything they felt. The characters and their situation was believable. It's intense, dark, and delicious. I really loved the Shameer and Colin and their story and the trials they faced. It's a story of life, love and truth and yes, romance and love. And Jessica and Chelsea were strong, committed and intelligent. I really connected with these characters. If you've never heard of this series you need to check it out and don't hesitate to purchase it, you'll be darn glad you did. Can't wait for the next book in the series. 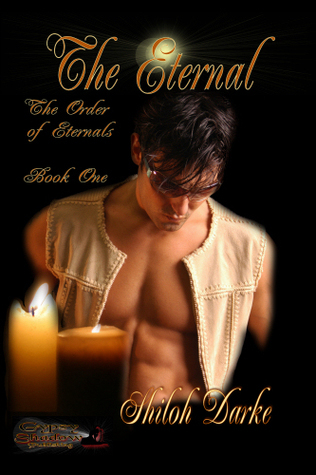 Sign into Goodreads to see if any of your friends have read The Eternal.